The Burlington Coat Factory building on Park Place, where the Cordoba Initiative hopes to build a $100 million Islamic cultural center. MANHATTAN — Public sentiment may not be the only thing preventing a controversial mosque from going up two blocks from ground zero. While the plan, approved by the Financial District Committee of Community Board 1, would cost $100 million to implement, it is unclear where that money would come from. Tax fillings for the organizations behind the proposal, The American Society for Muslim Advancement and the Cordoba Initiative, listed less than $1.2 million in assets, the New York Post reported. 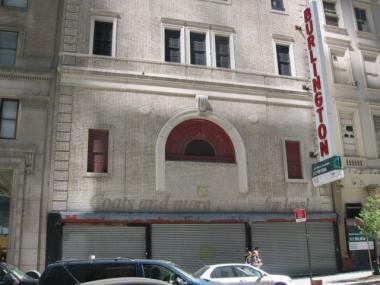 News of the proposal for a mosque and cultural center in the old Burlington Coat Factory at 45 Park Place spread two weeks ago after it received unanimous support from Community Board 1's Financial District Committee. But outrage soon followed, with 27,000 Facebook users and some relatives of 9/11 victims objecting. 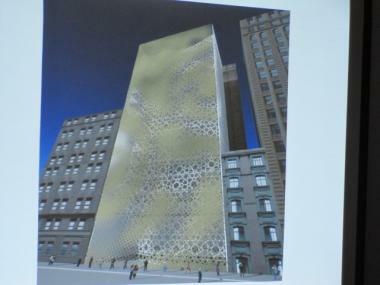 A plan for a $100 million mosque near ground zero may have trouble finding funding. In light of the controversy, some foundations that currently support the would-be developers, have vowed not to contribute to the project, according to the Post. Daisy Kahn, executive director of the Cordoba Initiative, reportedly confirmed that the 13-story building, to be called the Cordoba House, would require new donors. "Cordoba House will be a new entity whose funding sources will be independent from the funding sources of ASMA and Cordoba Initiative," Khan told the Post, adding that fund-raising had not yet begun and no benefactors had been identified. Real estate developer Sharif El-Gamal of SoHo Properties, along with several partners, bought the building in July for $4.85 million and presented plans for the project at the Community Board meeting, the paper noted. The Park Place structure has been shuttered since 9/11 when landing gear from one of the hijacked airplanes fell through the roof.